Wow was that title ever a mouth full! 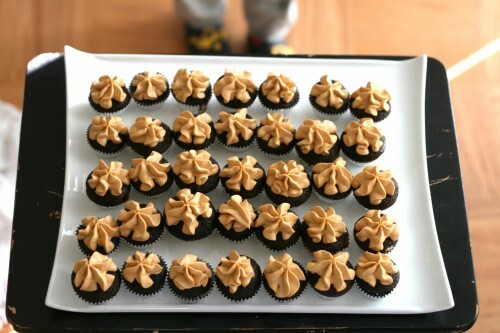 Mini cupcakes aren’t only adorable they are also a great way to stretch your desserts. With the same cake recipe you can make one cake, or 24 cupcakes, or about 48 adorable mini cupcakes. I wanted to whip up a quick treat for the PTA meeting last week, and I didn’t want to spend all day in the kitchen baking and decorating cupcakes. Minis were the perfect solution. I found out if you make regular size cupcakes people will take one. If you make mini cupcakes people will *usually* take only one. 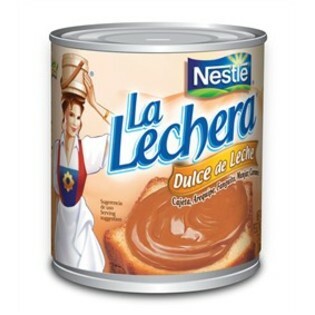 Have you had Dulce de Leche before? OH. MY. GOODNESS. It is heavenly. It is a thick, caramel flavored, milky spread. While it tastes great on these cupcakes it is best eaten directly off the spoon. 🙂 You can find it near the sweet and condensed milk or possibly in the Mexican food aisle at the grocery store. Go buy it now, you won’t regret it. I was in a hurry to make cupcakes so I just used a box mix. If you have the time to make cupcakes from scratch I highly recommend you use this recipe for Hershey’s prefect chocolate cake. I’m only going to provide the recipe for the buttercream. Try it on chocolate cake, graham crackers, or straight from the bowl, I promise you’ll love it. Do you see those blurry little baby feet? Kasper is trying to sneak up and steal a cupcake! I added a hearty pinch of Kosher salt to the buttercream and I think it brought it to the next level. 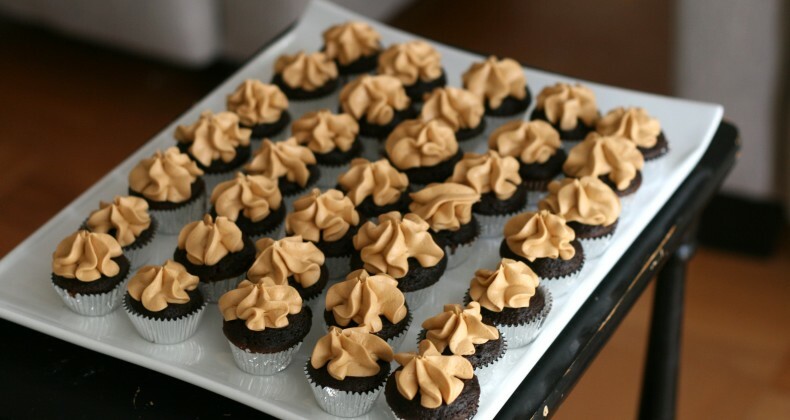 Dark chocolate cupcakes + sweet caramely buttercream + a little salty crunch = a culinaryÂ menageÂ et trois made in heaven! This cupcake reminds me of the Sweet & Salty cupcake made by a local cupcakery Jones Bros Cupcakes. These dudes know cupcakes, they are Cupcake Wars winners after all. If you’re ever near Omaha you must make theÂ pilgrimageÂ to Jones Bros. You don’t beÂ disappointed. But if you can’t make to Jones Bros then give this recipe a try and it will be almost as good. In a stand mixer on medium high heat beat the butter until creamy. Lower the speed to medium low and add in powdered sugar one cup at a time until all has been added. Stop the mixer and pour in the dulce de leche. Turn the mixer on to medium-high and beat for 4-5 minutes. Mix in the Kosher salt. You can refrigerate the frosting until you're ready to use it or use it immediately. Hi there! Those cupcakes look so amazing they are making me drool, lol! Just wondering how long that buttercream would keep unrefrigerated? ie. If I used it to fill a cake with, how long could the cake stay out at room temperature? ….must try that Hershey’s cake one day…. The unrefrigerated cake iced with the buttercream should still be fresh for a 2-3 days and up to a week in the fridge. Just allow it to come to room temperature before serving.